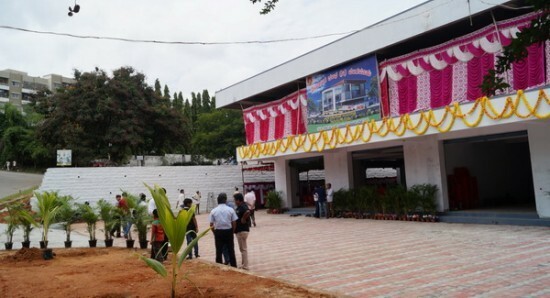 Bangalore: The Devadiga Sangha (R) Bangalore unveiled the Ist Phase of DEVADIGA CUMMUNITY CENTER on the auspicious day of Gurupoornima the 9th July 2017. 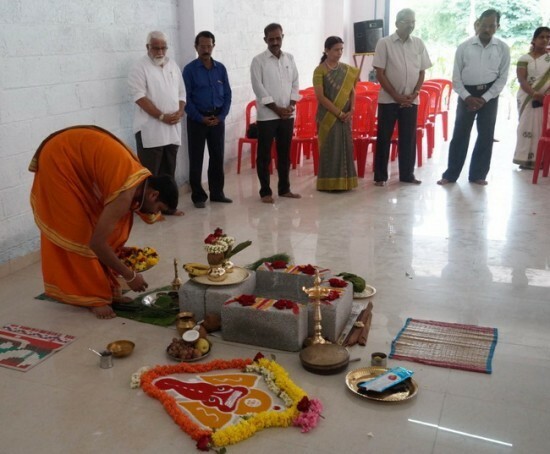 On the auspicious day of Gurupoornima the executive committee decided to perform Gana homa and Vaastu Pooja by inviting all our community members and show them the progress of the community building.Our leader Shri M Veerappa Moily attended the pooja function and spent quality time with the gathering. Mr. Raghu Sherigar, President & Shri. H S Devadiga along with other members accompanied Shri. 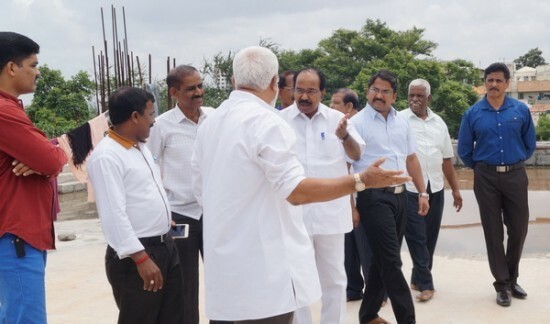 M. Veerappa Moily around the building and updated him about the progress of the construction. Later, Shri. M. Veerappa Moily also discussed along with core committee members Shri. Raghu Sherigar, Shri. K. Chandrashekar, Shri. R. Ganesh and Shri. 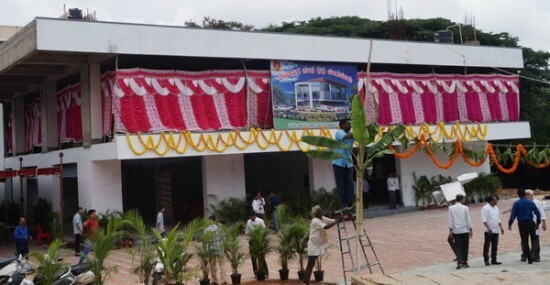 H. S. Devadiga regarding the budget and action plan for the 2nd phase of construction. After the traditional homa & pooja Shri. 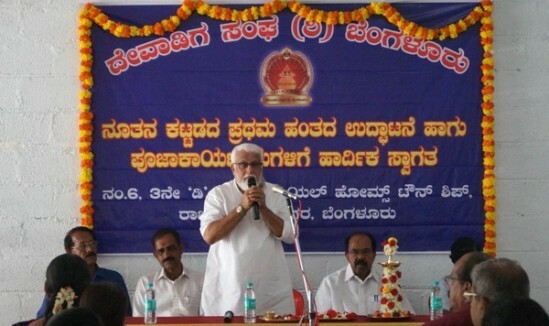 K Chandrashekar, Vice President gave a introductory speech addressing the gathering. Our President, Shri. Raghu sherigar in his welcome speech informed the gathering the budget incurred for completing the 1st phase of construction without any borrowings and the future plans on generating revenue from the completed building. Shri R. Ganesh, Gen Secretary explained the audience the financial assistance received from the Government of Karnataka and further process of our pending application. Shri. H. S. Devadiga shared his happiness with the community members for organising pooja on the auspicious day of Gurpoornima. 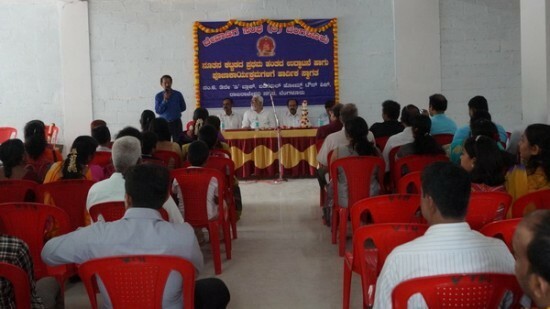 Shri K. Chandrashekar requested the gathering to raise above the language and cultural differences and work for upliftment of the community by participating in all the events organised by the Sangha. Shri M. Veerappa Moily while addressing the gathering adviced to be together and participate towards progress of the community. He also assured that he will assist us by approaching Government of Karnataka for further financial assistance and also requested the community members to donate for the progress of the community building. Further in his speech, he reiterated the gathering the importance of education and said parents should encourage their children to achieve higher education and allow children to scale new heights. 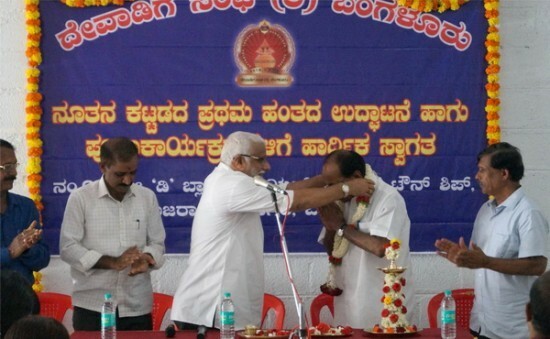 Sangha also thanked the Shri. 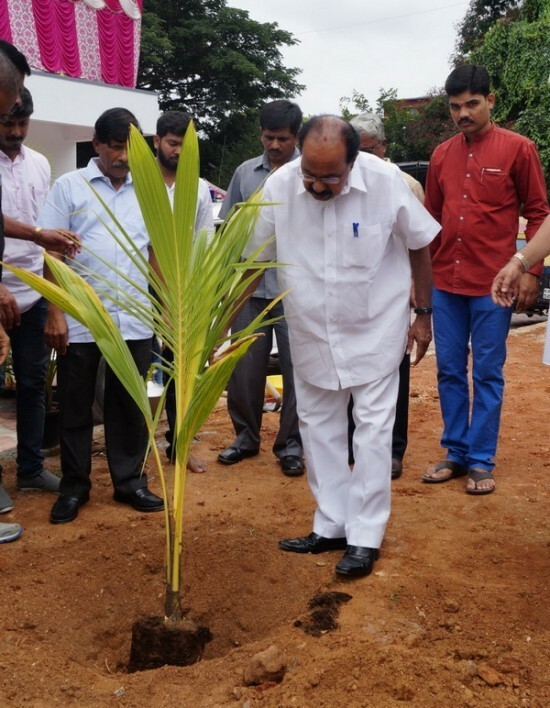 Ramesh Devadiga, Hindpac for donating Rs. 5.00 Lakhs generously towards building fund. We also thank Mr. S .M. Chandra, Gokul Hotels for serving food on the occasion and thank Mr. Keshav Naryan Rao, Mr. Pavanesh Devadiga, Mr. Subash, Mr. Loku Kudla, Mr. Karan, Shri. Shivashankar Devadiga, Smt. Seetha Devadiga for actively participating and making the event grand success. Organising Secretary,Devadiga Sangha (R) Bangalore.